Mariah Trible, acting as Elizabeth Ann Willow, sits on the dark stage, in her wheelchair. Out of the darkness, voices are heard, sounding kind at first, but quickly turning to taunts. The voices are Elizabeth’s inner thoughts, the scars left from her community. Polio left Elizabeth unable to walk. In her tiny town, isolation wipes away any chance of forming relationships within a small-minded community. She’s left alone, feared and misunderstood. The townspeople’s discomfort with her disability leads to a life of solitary. “The play becomes a moving and poetically evocative plea for understanding and compassion in a world where prejudice and casual cruelty are too often the norm,” the show’s script states. Mariah Trible brings the story to life as the lead role, Elizabeth Ann Willow, in Hesston College’s production of And They Dance Real Slow in Jackson, showing Wed., Oct. 25 through Sun., Oct. 29. Rachel Jantzi directs the play. Although she can’t connect to the struggles of living with a physical disability, Trible learned to pull from her own experiences in order to connect to her part. Trible’s awareness of mistreatment towards people with disabilities has grown. 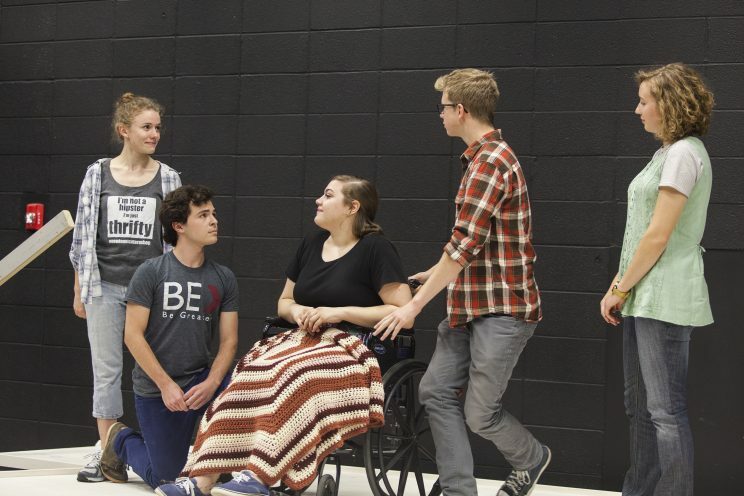 But the play isn’t just about disabilities, Trible said. Jantzi described another theme: the community that thoughtlessly dismisses Elizabeth from their lives. “The children fear her, the adults pity her, and those who do let her in their lives keep her at an arm’s length,” she said. The irrational fear of differences drives the plot of the story, Jantzi said. Trible likes how Jantzi connects the cast by relating to real circumstances and situations. This helps makes the performance as honest as possible, Trible said. 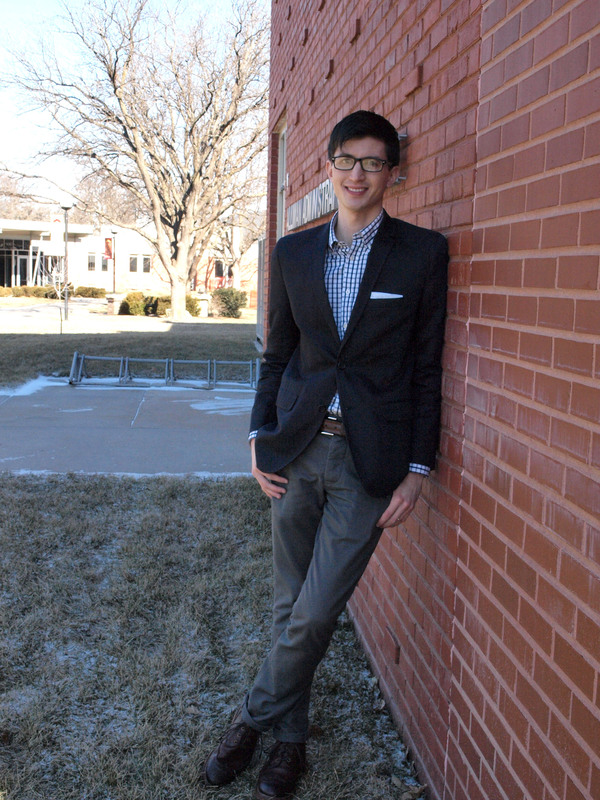 “Rachel helps make sure that our roles are rooted back to us personally,” Trible said. In order to comfortably portray such an intense drama, Jantzi also encourages bonding and safe feelings among the cast members, Trible said. Chloe McNiel, the stage manager for this production, agrees with Trible. “We spend time learning to appreciate each other,” McNiel said. Growing trust and connection among actors before staging the show is vital, Trible said. Once that is established, they can focus on their personal connection to their role. While Trible admits it will take some more time before she feels the emotional impact of the show, Jantzi felt the weight of the material from the beginning. Jantzi, like Trible, hopes the audience leaves with more awareness of how we treat others. Society has become too comfortable with casual cruelty, she said.